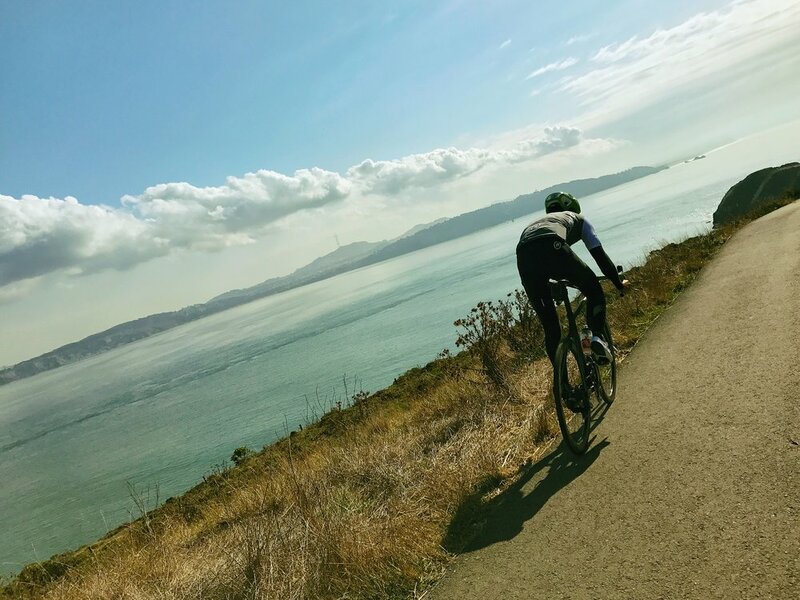 The Muir Loop is a must-do, local Marin County ride that we refer to as the ‘lunch ride’. At approximately 60 minutes in duration with about two thousand feet of climbing with no steep pitches, this ride can be done in either direction once you arrive to Four Corners. From downtown Mill Valley, the counter-clockwise direction is shown above. We do not recommend climbing from Tam Junction up Highway 1. This ride passes through the historic Muir Woods National Monument and the Golden Gate National Recreation Area.